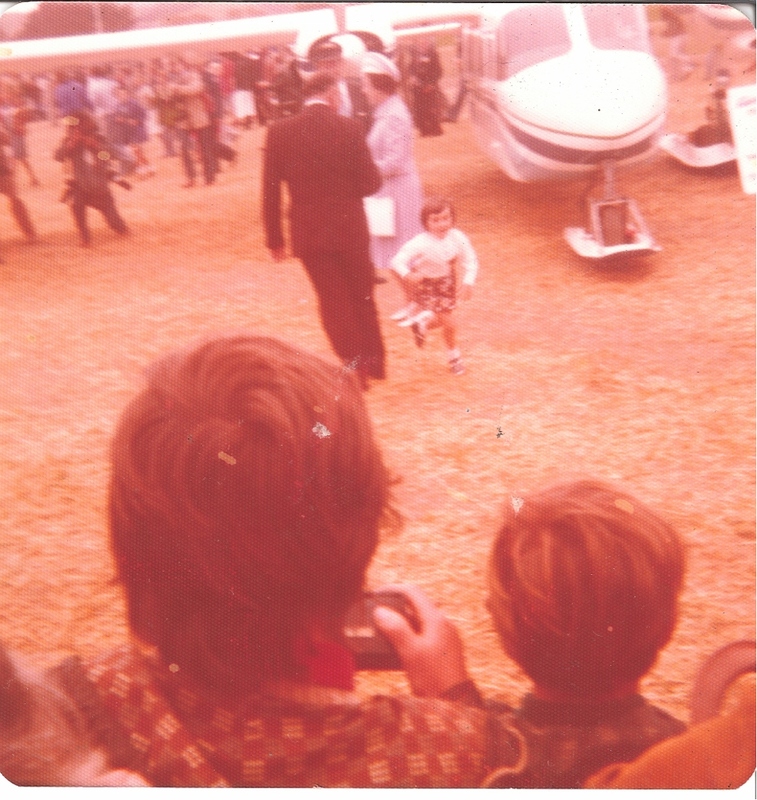 The Queen visited NZ in 1977 when I was five years old and included the Taieri Aerodrome near Dunedin in her itinerary. Like any well behaved young child, I snuck under the cordon rope and ran up to QEII with a picture in hand (from memory it was of a pink elephant). She asked me my name and said thank you and I ran back to my Mum, who (like me in later years) was standing poised with camera in hand. So, for my moment of fame, here is me running away from Queen Elizabeth II, in honour of the upcoming visit of our future King. Great to see that pic of the Queen visiting Taieri Aerodrome. I was the first person Her Majesty acknowledged when she came out of the Marquee where she had been introduced to my then boss. I recall mumbling something deferential – only later did I realise I had my camera in hand,but hadn’t taken a pic !